TopArt, a children fine arts center & the UNESCO Center for Culture and Education (UNESCO-CEP) have jointly launched a panting contest nationwide. 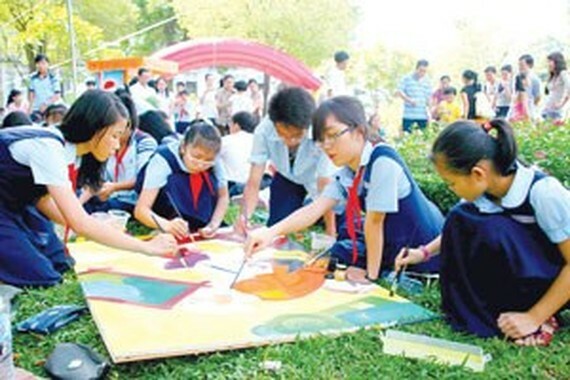 This year’s subject focusing on the “Colors of Vietnamese festivals” aims to give children a deep knowledge of the national origin and traditional holidays. Launched from 2014, the contest has attracted thousands of children from primarily schools and kindergartens. The organization board will select 500 best contestants for the final round that will take place in Ho Chi Minh City’s Binh Tan District on October 8.